Though I was beat huh? Think again! Well, I’m still waiting on some content from our father dearest as I write this post, but never the less I have launched my next installment: Buy Today, Save Tomorrow! Our folks have had a plot of land stowed away in tranquil Betty’s Bay for quite some time now. Inherited from parents of theirs the Betty’s Bay plot has been in the family for a mere 2 generations, not quite enough for it to constitute a sentimental value, although, Arthur would argue otherwise. Never the less! 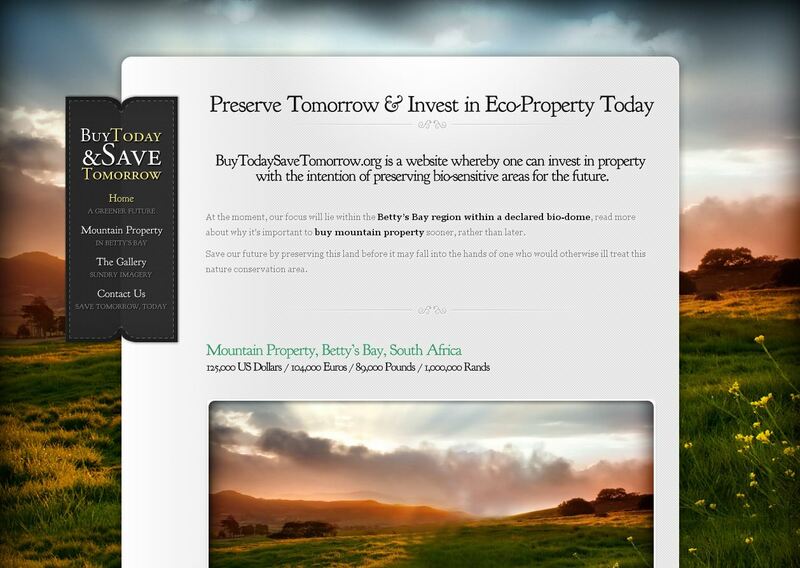 This website’s purpose is to sell that plot of land for a price a little over and above what our parents are willing to let it go for, in there will lie my profit! Simple enough. The sale of land itself is a little more complex than your average eCommerce system can handle so I’ve put a contact form in place that will deliver an email to the necessary parties should one enquire. As mentioned earlier, I’m still waiting on content in the form of words and imagery from my father who I commissioned for the dreadful task of content creation. This, of course, is completely legit given that he’s getting something out of it and despite my tone, he did oblige when I asked. The CMS is wordpress, the theme comes via elegantthemes.com and thats that! This week’s website was made for my friend Stigue who is about to finish his University studies at UCT and is heading out into the working world most of us are so familiar with (assuming I have my target market identified here… ok, analysis paralysis, my bad… never mind). 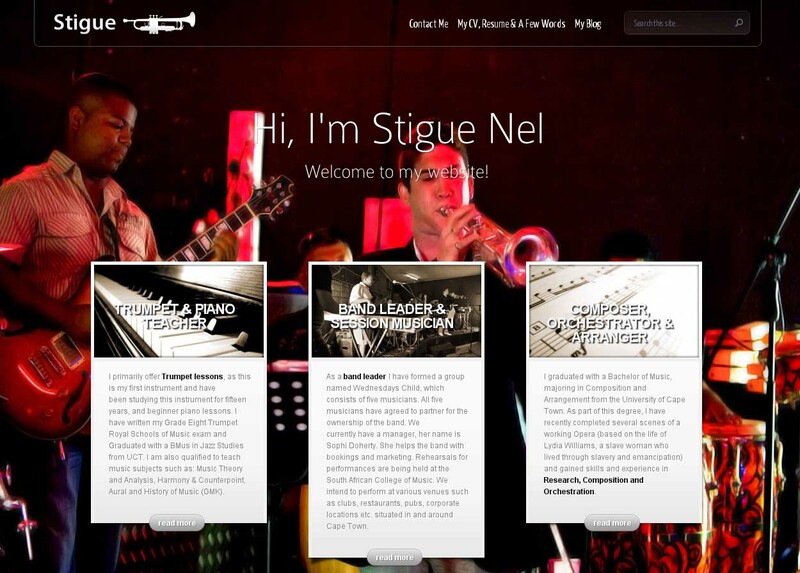 I offered some time ago to craft a website for dearest Stigue and have his skills and capabilities put out there. Needless to say I would take a small portion of his earnings generated from the site. Much like affiliate marketing. Affiliate marketing in general is a superb way of gifting those who went to the effort of marketing a product with some portion of the revenue. So this week past whilst putting the site together I set about carefully calculating a means to make this work for Stigue and I in a way that would not seem unreasonable and stay mutually beneficial. What I didn’t realise is that affiliate marketing is used predominantly for physical and virtual products, and not a variety of services offered by one who blows on the end of a brass tube. In the end, I chose not to opt for the commission-based-potential-client-or-band-owner-conversion strategy, but instead will charge a minimal fee of $5 / R30 per month to keep his site up and out there. 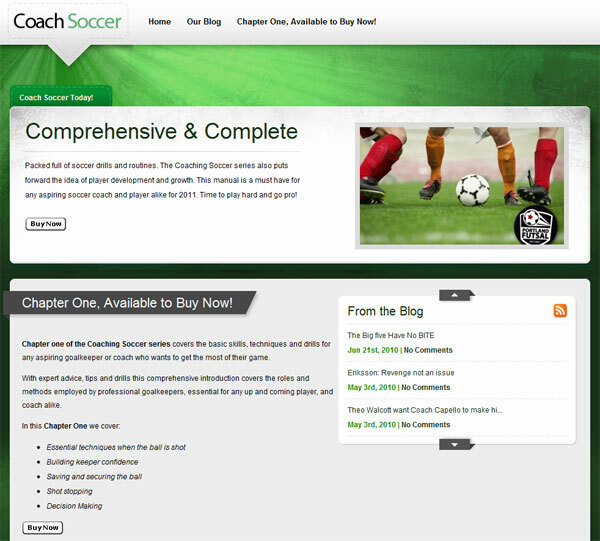 The website itself is quite stunning thanks to the amazing (and guided) content Stigue provided. From high res imagery to a video clip and music samples, it really has it all. The fine print: If you’re hoping to sucker me into doing another website like this for the same price, think again! 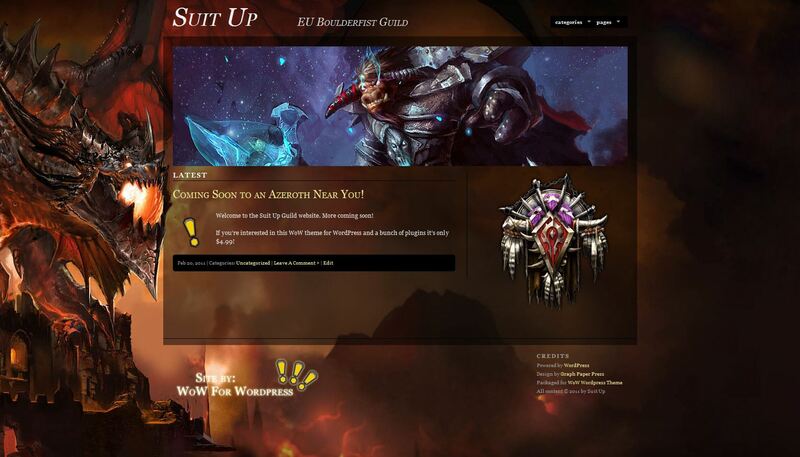 I was [self] commissioned a little while ago to create a website for the World of Warcraft guild I play with. After much agonising over how I would make some kind of money from this site I eventually came up with the idea of modifying an existing free WordPress theme published under a licence that permits one to resell it. I added a few extra things like World of Warcraft WordPress plugins and some artwork too, of course. The idea spawned from 2 days of pure frustration looking for a WordPress theme that would have a World of Warcraft look to it. I was actually quite surprised to find that there aren’t any half-decent themes out there. The project itself took much technical work on back-end CSS styling (thanks for the help bro!) and a whole bunch of Photoshop work! For those less technically inclined, I’m certain one could apply the same principle I used to create this virtual product to create your own. Here’s a prime example: Toffee apples! Apples are practically free (like WordPress themes) and with a little caramelized sugar (or CCS styling in this case) customers will come a’ rushin’ to the till. If you’re wondering how I did it, after registering a domain I simply followed standard WordPress installation guidelines and used Notepad++ to edit the CCS files. A little photoshop magic added some shine and I uploaded the packaged product to payloadz.com which connects to my PayPal account direct.